© Huseyin Bilgin 2017 All rights reserved. Especially local colleagues and students may contact me to borrow any of these titles. 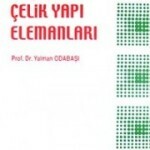 Ahşap ve Çelik Yapı Elemanları, Yalman Odabaşı, Beta Yayın, 2000, ISBN:9754862140. 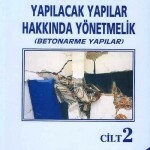 Açıklamalar ve Örneklerle Afet Bölgelerinde Yapılacak Yapılar Hakkında Yönetmelik Betonarme Yapılar (2 Cilt), Ergin Atımtay, Bizim büro, 2000, ISBN:9789758201273. ATC-40. 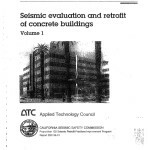 Seismic evaluation and retrofit of concrete buildings Volume 1. Applied Technology Council. 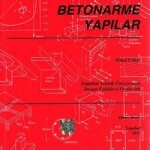 Betonarme.Uğur Ersoy, Güney Özcebe, Evrim Yayınevi Ders Kitapları, Evrim Yayınevi, 2004. Betonarme Yapılar. 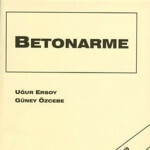 Zekai Celep-Nahit Kumbasar, Beta Dağıtım, 2001. 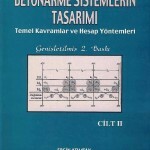 Çerçeveli ve Perdeli Betonarme Sistemlerinin Tasarımı (2 Vol.). Ergin Atımtay. Haziran 2001 / 2. Baskı / 871 Syf. 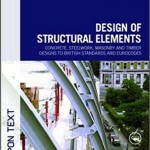 Design of Structural Elements: Concrete, Steelwork, Masonry and Timber Designs to British Standards and Eurocodes, Third Edition 3rd Edition. Depremde Çökmeyen Bina Nedir? Nasıl Projelendirilir? Ergin Atımtay, Türkmen yayınevi, 2009. 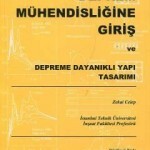 Deprem Mühendisliğine Giriş ve Depreme Dayanıklı Yapı Tasarımı, Zekai Celep, Nahit Kumbasar. 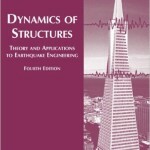 Dynamics of Structures (3th Edition) (Prentice-Hall International Series in Civil Engineering and Engineering Mechanics) 4th Edition by Anil K. Chopra. 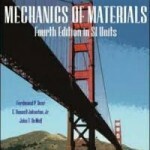 Mechanics of Materials. James M. Gere, Barry J. Goodno, Georgia Institute of Technology, 1056pp, Published by Cengage Learning, ©2013. 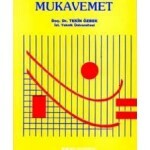 Mukavemet- Tekin Özbek. ITU yayınları. 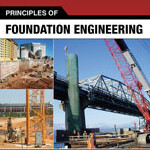 Principles of Foundation Engineering, 7th Edition, Braja M. Das California State University, Sacramento, ISBN-10: 0495668109 | ISBN-13: 9780495668107, 794 Pages. 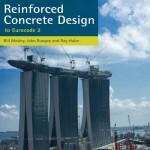 Reinforced Concrete Design: to Eurocode 2 Paperback – by W.H. Mosley, Ray Hulse, J.H Bungey. Reinforced concrete : preliminary design for architects and builders / R.E. Shaeffer. Local Seismic Culture in Portugal by Marianna Correia and Gilberto Carlos. 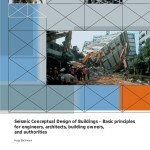 Seismic Conceptual Design of Buildings – Basic principles for engineers, architects, building owners. 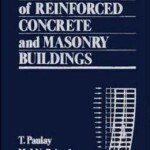 Seismic Design of Reinforced Concrete and Masonry Buildings, Thomas Paulay, M. J. N. Priestley, ISBN: 978-0-471-54915-4, 768 pages. Seismic Design for Architects: Outwitting the Quake. Andrew Charleson. Routledge, 2008 – Technology & Engineering – 281 pages. Seismic Retrofitting: Learning from Vernacular Architecture. Mariana R. Correia, Paulo B. Lourenco, Humberto Varum. September 8, 2015 by CRC Press, Reference – 246 Pages. ISBN 9781138028920 – CAT# K27486. Sizmiciteti, Sizmotektonika dhe vlerësimi i rrezikut sizmik në Shqipëri. by Shyqyri Aliaj, Siasi Koçiu, Betim Muço, Eduard Sulstarova. 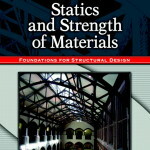 Statics and Strength of Materials: Foundations for Structural Design, Barry S. Onouye, University of Washington – Seattle, ©2005 , Pearson. 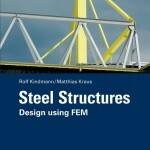 Steel Structures: Design using FEM, Rolf Kindmann, Matthias Kraus, ISBN: 978-3-433-02978-7, 552 pages. 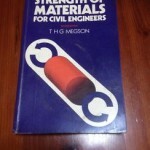 Strength of Materials for Civil Engineers, T. H. G. Megson. 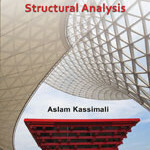 Structural Analysis, 5th Edition, Aslam Kassimali Southern Illinois University, Carbondale, ISBN-10: 1133943896 | ISBN-13: 9781133943891, 912 Pages. 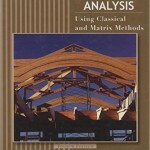 Structural Analysis: Using Classical and Matrix Methods 4th Edition, by Jack C. McCormac. 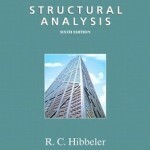 Structural Analysis (6th Edition) Hardcover – by Russell C. Hibbeler (Author). Structural Analysis Part III and Part IV. by Fuat Erbatur. 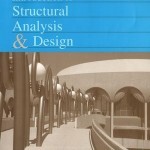 Introduction to Structural Analysis & Design, S. D. Rajan, ISBN: 978-0-471-31997-9, 720 pages. Yapı Dinamiği. Prof. Dr. Zekai Celep. Ocak 2014 / 477 Syf. Bayraktar, A., Keypour, H., Fahjan, Y., Arun, G., Historical Monuments And Their Foundations, International Symposium Studies on Historical Heritage, 17-21 Sept. 2007, Yıldız Technical University, Istanbul, TURKEY. Bilgin, H. (2007) Seismic Performance Evaluation of Public Buildings Using Non-Linear Analysis Procedures and Solution Methods, Ph.D. Thesis, Pamukkale University, August 2007, Denizli, Turkey. Bilgin, H., “Mimar Sinan Yapılarında Kubbeli Örtü Sistemlerinin Yapısal Analizi”, J. Fac. Eng. Arch. Selcuk Univ, 21.3-4, 2006. Binda, L., Penazzi, D., and Saisi, A., Historic masonry buildings; necessity of a classification of structures and masonries for the adequate choice of analytical models, 6th Int. Symp. Computing Methods in Structural Masonry, Roma, September, 2003, pg 168-173. Calvi, G. M., (1999). “A displacement-based approach for vulnerability evaluation of classes of buildings”. J Earthquake Eng 3(3):411–43. Dogangun A. (2004), “Performance of reinforced concrete buildings during the May 1 2003 Bingol earthquake in Turkey”, Engineering Structures, 26 (6); 841-856. Erberik, M., A., (2008). 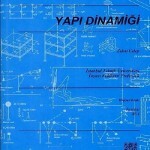 Fragility-based assessment of typical mid-rise and low-rise RC buildings in Turkey, Engineering Structures, 2008, Vol. 30, No.11, 1360-1374. EERI Special Earthquake Report (2003), “Preliminary observation on the May 1, 2003 Bingol, Turkey earthquake”, EERI, July. 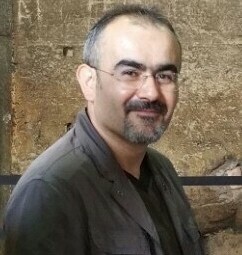 Fajfar, P. and EERI, M. (2000). Earthquake Spectra. A Nonlinear Analysis Method for Performance Based Seismic Design, 16, 573–592. Fardis M.N. and Biskinis D. E., (2003). Deformation of RC members, as controlled by flexure or shear. In: Proceedings of the international symposium honoring Shunsuke Otani on performance-based engineering for earthquake resistant reinforced concrete structures. The University of Tokyo, Tokyo (Japan), September 8-9, 2003. FEMA-356, (2000). Prestandard and Commentary for the Seismic Rehabilitation of Buildings, American Society of Civil Engineers (ASCE). Federal Emergency Management Agency, FEMA-440 (2005), Improvement of nonlinear static seismic analysis procedures, Washington (D.C). Ghobarah A, (2004). “On drift limits associated with different damage levels” Performance-Based Seismic Design Concepts and Implementation, Proceedings of an International Workshop, Bled, Slovenia, June 26 – July 1, 2004. Gulkan, P., and Wasti, S., T., Seismic Assessment and rehabilitation of historic structures, Structural Longevity, (2); 111-134. Inel M. and Ozmen H. B., (2006). Effect of plastic hinge properties in nonlinear analysis of reinforced concrete buildings, Engineering Structures, 2006, Vol. 28, No.11, 1494-1502. Inel M, Bilgin H. ve Özmen H. B. (2008) “Orta Yükseklikli Betonarme Binaların Türkiye’de Yaşanan Son Depremlerdeki Performansı”, İnşaat Mühendisleri Odası, Teknik Dergi, Yazı 284, pg: 4319-4331, Ankara, Turkey (In Turkish). 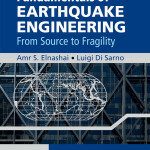 Inel M, Ozmen HB, Bilgin H, (2008) Re-evaluation of building damages during recent earthquakes in Turkey, Engineering Structures, Vol: 30, No:11, 412-427. Inel M, Bilgin H and Ozmen HB (2008) Seismic performance evaluation of school buildings in Turkey. Structural Engineering and Mechanics (30): 353-58. Inel M, Bilgin H and Ozmen HB (2008) Seismic capacity evaluation of school buildings in Turkey. Proceedings of ICE, Structures and Buildings of Thomas Telford Journals (161): 147-159. Irfanoglu A (2009) Performance of template school buildings during earthquakes in Turkey and Peru. Journal of Performance of Construction Facilities (23): 5-14. 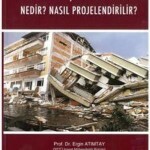 Kaplan, H., Yilmaz, S., Binici, H., Yazar, E. ve Çetinkaya, N., “May 1, 2003 Turkey—Bingöl Earthquake: Damage in Reinforced Concrete Structures,” Engineering Failure Analysis, 11, 279-291 (2004). Kaplan, H., Bilgin, H., Yilmaz, S., Binici, H., and Oztas, A. (2010). 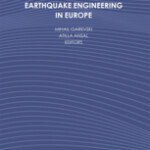 “Structural Damages of L’Aquila Earthquake”, Nat. Hazards Earth Syst. Sci., 10, 499–507, 2010, www.nat-hazards-earth-syst-sci.net/10/499/2010/. Kaushik, H. B., Rai D., C., Jain, S., K., (2007). “Stress-Strain characteristics of clay brick masonry under uniaxial compression”, Journal of Materials in Civil Engineering, ASCE, 19;9(728). Kircil, M., S., Polat, Z., (2006). 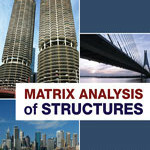 Fragility analysis of mid-rise RC frame buildings, Engineering Structures, 2006, Vol. 28, 1335-1345. Kwon OS, Elnashai A., (2006), The effect of material and ground motion uncertainty on the seismic vulnerability curves of RC structure. Engineering Structures;28 (2):289-303. Korkmaz HH, Korkmaz SZ and Donduren MS (2010) Earthquake hazard and damage on traditional rural structures in Turkey. Natural Hazards and Earth System Sciences (10): 605-22. Lagomarsino, S., Galasco, A., and Penna, A., (2007), “Nonlinear macro element dynamic analysis of masonry buildings. In: Proceedings of the ECCOMAS thematic conference on computational methods in structural dynamics and earthquake engineering, Rethymno, Crete. Lagomarsino, S. and Penna, A. (2003). “Guidelines for the implementation of the II level vulnerability methodology”. WP4: Vulnerability assessment of current buildings. RISK-UE project: “An advanced approach to earthquake risk scenarios with application to different European towns. Magenes, G., (2010) Earthquake resistant design of masonry structures: rules, backgrounds, latest findings, Keynote Speech. In: Proceedings of the 8th international masonry conference, Dresden, Germany. Pasticier, L., Amadio, C., Fragiacomo, M. (2008). “Nonlinear seismic analysis and vulnerability evaluation of a masonry building by means of the SAP200 v.10 Code,” Earthquake Engineering and Structural Dynamics; 37: 467-84. Penelis, Gr.G. (2006). “An efficient approach for pushover analysis of unreinforced masonry structures”, Journal of Earthquake Engineering; Vol. 10 No: 3, 359-379. Priestly, MJN, (1997). “Displacement-based seismic assessment of reinforced concrete buildings”, Journal of Earthquake Engineering; Vol. 1 No: 1, 157-92. Tomazevic, M. (1999). “Earthquake-resistant design of masonry buildings, Series on Innovation in Structures and Construction”, Vol. 1, Imperial College Press, London.